Cultural differences tend to crop up with people from different countries work together. The creative industries are no exception. Working on a multi-cultural team can be a challenge, but it can also be very rewarding. We spoke to two creative minds who have been headed up international projects all over the world about what people can expect from international teamwork. Mr Pfeuffer, does working on a film bring people from different countries together often? The beauty of filmmaking is that every project brings new people together to tell a story they feel is important. This automatically means very different kinds of people end up working together, and they are almost never all from the same country. In our last ‘German’ production, we had a French costume designer, a British stage designer, a Dutch director and a Russian language coach on our team. That is what makes filmmaking so great; ultimately it's not about the people involved, but about what ends up on the screen. We are united in our pursuit of the same goal. Do people from different countries approach work very differently? They may be accustomed to a culturally different organisational structure or kind of craftsmanship. Filmmaking is always chaotic though, no matter how well prepared you are, and you have to make spur-of-the-moment decisions and problem solve. It seem to me that people in the United States take an optimistic, pragmatic attitude that a solution doesn’t have to be perfect; it just has to be the one that works best. In the African countries I have worked in with weltfilme.org so far, most of the people involved have not had any formal film training. The film industry there is also just coming into its own and in the process of inventing itself. It was really nice to see the spell filmmaking casts there. We’ve lost some of that feeling of magic in the more established film industries in Germany or the USA. There is a passion for the medium that never ceases to inspire me. What would you say is typically German? I don’t know as ‘typically German’ even still exists in today’s globalized world. You can, of course, identify some characteristics inspired by the country of mechanical engineers and Waldorf pupils. There is a desire for perfection on the one hand, and on the other the urge to be free and question everything – sometimes to the point where no one is sure what it is all about anymore. It can go too far, but there are some clear advantages. Organisation and time management is so important in filmmaking. It can be great to have an ‘engineer’ in the artist, since critical thinking is an essential element of art and very important to the process. Would you say international partnerships enrich or hold back the film industry? Films are as diverse as the world we live in. And film allows characters to meet who paths might otherwise have never crossed. Ideally, that's exactly what should happen during production too. International partnerships are not only enriching, they are also essential. Reducing art to a nationality would be a contradiction in terms. Alexander Pfeuffer has headed up film projects in Germany and the USA for almost 20 years. 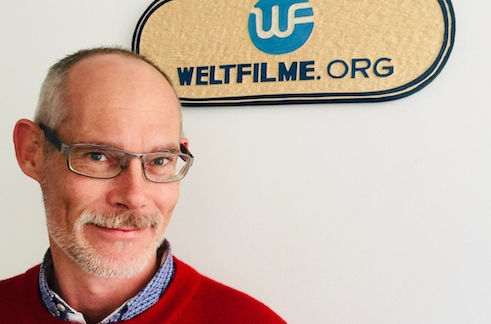 Together with colleague Frank Domhan and some friends, he founded the weltfilme.org organisation, which has since completed film projects in Africa (South Sudan, Togo, Sierra Leone, Ghana and Liberia), India, and Colombia. His work has been honoured with a number of awards, including "Best Screenplay" for the "Die Hochzeitspolizei” (The Wedding Police) comedy at the Visioni Corte Film Festival in Italy in September 2017. Photo (detail): © ABURY/Andrea Bury Mrs Bury, how do you communicate in industrial art and design when different cultures come together? The beauty of industrial art and design is that it serves as a kind of language. Working together with your hands establishes a connection. Usually both sides are curious to see how the other works and identify new ideas or techniques they can take away. Showing someone else how you work starts a non-verbal conversation. The creative process can bring people closer, and they come to understand each other better and maybe even become friends over the course of creating something. How can you establish close connections across cultural boundaries? Building up intercultural empathy is not easy. Our behaviours often differ only slightly, but the devil is in the details. That first stage of getting to know each other is most successful if you show interest and respect, and take the time to appreciate each other's work. Humour and laughter are also important: everyone likes a good laugh, no matter where they are from, and you can win hearts by not taking everything too seriously. Expressing interest in someone’s family also helps create a connection. Many processes are much simpler once you have built up trust. If you approach people with an open, curious mind and a positive attitude, if you show them respect, and are friendly, they usually return the favour. We were once involved in project with a designer who wanted to work on a line of handbags with artisans from Ecuador. Everyone was very unhappy after the very first meeting: the artisans said the designer had impossible demands, and the designer said that the Ecuadorians were being difficult. We told the designer that she needed to start by really looking at and appreciating the artisans’ work. We told the artisans that the designer was very good and they should wait it see what she came up with. The end result was a great handbag collection, and both sides were really happy with the outcome. It just took a little time and communication. How would you say Germans typically approach work? It starts with detailed planning: We love to draw up exact timelines and project plans and can’t understand how any work gets done without them. We like to optimize processes, and are punctual and organized to save time and money. A general overview of the project is also important. We are reliable and direct in our communication - too direct for people from some cultures. Germans usually say what we mean, and mean what we say. As a rule, criticism is not meant personally, but more as a purely technical assessment. We don’t think of it as a bad thing, but as a constructive part of the process. Would you say international partnerships enrich or hold back industrial art and design? International cooperation not only teaches you a lot about people, emotions and life in other cultures – most importantly, it results in products that would not otherwise exist. Sometimes it takes a little longer, but you have to think long-term and take it one step at a time. “Magic happens outside your comfort zone,” as they say. Both sides have to step outside their comfort zones to make a project a success. This is important to keep in mind. Andrea Bury founded the AnaYela design hotel in Marrakech in 2007, and the "ABURY" fashion label, whose luxury collections combine traditional craftsmanship and modern design, in 2011. Since then, she has brought national and international designers together with producers from Morocco, Ecuador, Romania and Ethiopia for the label. Her goal is to preserve traditional handicrafts and promote intercultural exchange. 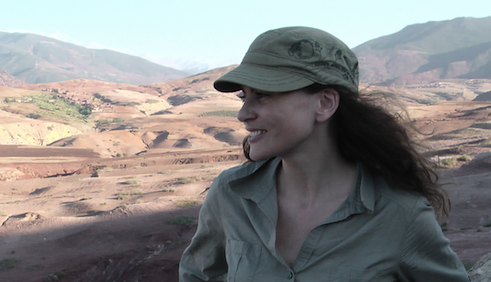 Eva-Maria Verfürth works as a journalist and translator. She is the founder and editor-in-chief of the Tea after Twelve online magazine and managing director of the Bunny Island communications agency.